Washington, January 21 (PTI): Senator Kamala Harris, who is eyeing to challenge President Donald Trump in the 2020 elections, has credited her Indian-American “superhero” mother for instilling in her the sense of responsibility that motivates her political career. 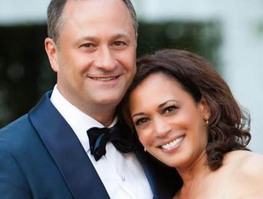 Harris, is being seen as a potential strong contender ..
to get the Democratic presidential nomination to challenge Trump in the 2020 elections. 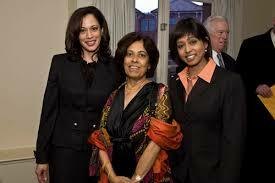 Kamala Harris with her mother Shyamala in Chennai. “My mom was a superhero because she made me feel special. She believed in me and that helped me believe I couldo anything,” Harris wrote in the book. “It’s how I first really learned that you can have very close relationships with people, even if it’s not on a daily basis. We were always there for one another, regardless of what form that would take. My mother, grandparents, aunts, and uncle instilled us with pride in our South Asian roots. Our classical Indian names harked back to our heritage, and we were raised with a strong awareness of and appreciation for Indian culture,” she wrote. “My mother understood very well that she was raising two black daughters. 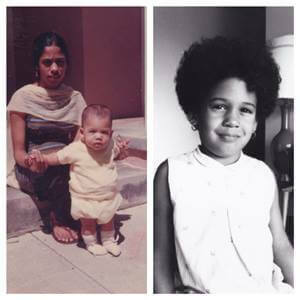 She knew that her adopted homeland would see Maya and me as black girls, and she was determined to make sure we would grow into confident, proud black women,” Harris wrote in her book..